There is much one could say about the modern Catholic approach to ecumenism; but it is important to note that, at least as regards to Protestantism, the modern ecumenical movement does not make much sense on their side either. In this post, I'd like to examine modern ecumenism from the Protestant angle and show why it does not make much sense either. First, recall that we are talking about modern ecumenism; traditional ecumenical dialogue seeks to engage non-Catholic Christians in friendly dialogue for the purpose of winning them back to the Catholic faith through charitable argumentation and prayer (what the modern hierarchy refers to as the "outdated ecclesiology of return"); in traditional ecumenical dialogue, dialogue is a means and the end is the return of the non-Catholic to the Church. In modern ecumenism, on the other hand, the means of dialogue is exalted to an end in an of itself, and the traditional end of return to the Church is chucked altogether in favor of a purely worldly end of "religious tolerance" and "world peace." Discussion is held for the purpose of having more discussion, in hopes that our discussions will mutually enrich each other as we share experiences. This form of ecumenism really leads nowhere other than creating a situation in which Protestants and Catholics can affirm that we are all okay wherever we are at and that the most important thing is that we can have some sort of fellowship despite out differences. We all know that this kind of ecumenism tends towards indifferentism and is ultimately untenable from a Catholic view, but lets look at this problem from a Protestant perspective as well. If one thing is clear about Protestants, it is that they are not Catholics; in other words, they do not accept those Christian teachings which are distinctively Catholic and which, if they did, would make them members of the Catholic Church. There are many teachings that would fall in this "distinctively Catholic" category, but lets take, for example, the infallibility of the Pope, Transubstantiation, and the practice of going to sacramental Confession. Protestants come in two sorts. Those who thing the Church is the Whore of Babylon and are not interested in any sort of fellowship with Catholics, and those who, for whatever reason want to fellowship with Catholics and believe that Protestants and Catholics can get together on a lot of issues; in short, one sort believes that Catholicism is not a valid branch of Christianity, the other does, and subsequently, believes they can have real fellowship with Catholics. As much as I dislike the ignorant, fundamentalist critiques of Catholicism, the fundamentalist is being more intellectually honest - he understands that Catholicism is incompatible with his brand of Christianity and attacks it as such. The more ecumenical-minded Protestant, however, is being a little but more disingenuous, however, because if the Catholic doctrines we profess as Catholics are in fact wrong, then we are just as far off and whacked-out as the Jehovah's Witnesses or Mormons; in fact, maybe more. If that piece of bread we are adoring up there is not Christ Himself, then we are idolaters. There is no question about it. If that isn't God, we are worshiping bread and breaking the first commandment in a major way. We are worse than pagans; pagans at least worshiped statues that looked like gods, or forces of nature - we are worshiping a piece of bread. We might as well worship an apple or a meatloaf. If the man in Rome is not the successor of Peter with the authority to infallibly bind and loose, then he is a monstrous impostor claiming the powers to bind consciences and to act falsely in the name of God Himself when he in fact has no special power. An institution that would perpetuate this base lie and bind so many souls to the whims of this impostor must be desperately wicked. 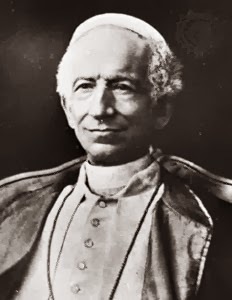 Finally, if a priest does not have power to absolve us of our sins in the name of Christ through the sacrament of confession, and if this is not the normative means of forgiveness that God willed for His people, then what sort of twisted system must this be that compels people, on the pain of eternal damnation, to tell all of their secrets and failings to another man who (if he is not who the Church claims him to be) can not but default to a position of power and manipulation over the penitent, leading to all sorts of mischief. What a diabolical system! These are harsh words, but let us keep in mind that, if Catholicism is false, every accusation above is true. We are idolaters. The earthly head of our Church is a megalomaniacal dictator, if not the anti-Christ. Our priests are slave-masters and we the basest knaves, revealing every secret and sin to them in good faith, thinking they are absolving us but in reality we are only enslaving ourselves more. It comes down to this: Either Catholicism is absolutely correct, or it is absolutely wrong. Either it is from God in its truth and beauty, or it is from the devil in its error and ugly abuse of power. There is no in between. Now then, we have already established that Protestants are not Catholics (duh); i.e., they are not the group of people who would say that Catholicism is "absolutely correct." But if they deny that Catholicism is true, particularly the points about the pope's jurisdiction, Transubstantiation and the spiritual powers of the priesthood, how can they even affirm that the Catholic Church is good at all, let alone Christian enough to have fellowship with? If we worship a piece of bread, attribute the powers of God to a man, and are all bent in superstitious spiritual slavery to a power-hungry clerical caste (and if Catholicism is false, that would be the case), how can they stand shoulder to shoulder with us, acclaiming us as "fellow believers" and working together with us as Christians? Christian fundamentalists at least have had the intellectual honesty to see this as a charade and have attacked attempts of their fellow Protestants to have fellowship with Catholics. They point out (and rightly so) that if the teachings of the Catholic Church are false (which all Protestants assert), then the Catholic Church deserves to be ostracized and worked against, not fellowshipped with. If Catholicism is false, Protestants should treat Catholics the way most Christians, Protestant and Catholic alike, treat Jehovah's Witnesses, Mormons and Scientologists. You see, modern ecumenism makes no sense on the Protestant side, even as it makes no sense on the Catholic side. As I mentioned above, there is room for a traditional ecumenism, an ecumenism that seeks to debate points of disagreement with the purpose of coming to a conclusion one way or another; but an ecumenism that simply seeks to work together to build "understanding" undermines both sides. So long as one party thinks it is right and the other wrong, modern ecumenism is not possible. Either we must revert to a more traditional understanding of ecumenism, or we must cease being a people who claim to have a unique and trustworthy revelation from God. This weekend at Mass the Gospel reading narrated the wedding feast at Cana, at which our Lord performs His first miracle at the behest of our Lady by turning water into wine. 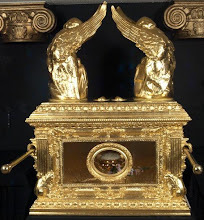 Traditionally, this Gospel story has been the occasion of homilies on the intercessory power of our Lady, or as a proof for our Lord's divinity, or sometimes on a Eucharistic meditation (since our Lord changes the substance of one thing into another as He does in the Eucharist). These are all beautiful and valid interpretations of this episode. But this week, when reading and re-reading this passage in preparation for Mass, a possible eschatological interpretation of the miracle jumped out at me that I'd like to share. In the first place, the number of water jugs caught my attention. According to the Gospel, there were six large jugs used for the purposes of ritual purification. In Scripture, numbers are very symbolic, and there is a rich tradition of biblical numerology that interpreters from the Middle Ages on back to the pre-Christian Jewish scribes employed when looking at the Bible. Eight, for example, is the number of new creation and Resurrection; forty days or forty years denotes a period of testing; twelve symbolizes fullness, as epitomized in the twelve tribes of Israel and the twelve Apostles; seven is the number of divine perfection, etc. In Biblical numerology, six is the number of the natural creation and also the number of man. This is so because the entire world was created in six days, and the sixth day in particular was the day upon which mankind was created. Note that the number of antichrist is six three times, a kind of anti-trinity of man and the world, which is also called "the number of man" or "the number of a man" (Rev. 13:18). So six has to do with the natural order in general and mankind in particular; or perhaps we could say it is the number of the natural world with mankind at the head? So let us say the six water jugs represent the created order. But what are the jugs filled with? Of course, they are filled with water, as stated above. Water also has a connection with the created order for, as the Fathers of the Church point out whenever they discuss creation, water was the primal element of Creation, mentioned in Genesis 1 even before the creation of light: "In the beginning God created the heavens and the earth. Now the earth was formless and empty, darkness was over the surface of the deep, and the Spirit of God was hovering over the waters." Life arose first from the waters, the firmament was first established to divide the "waters above" from "the waters below" (Gen. 1:7), and dry land first appeared out of the water. Water is the primal element from which creation emerged. This point is made clearly in the Scriptures and is also noted in the writings of St. Basil and St. Gregory of Nyssa on the Creation. Six jugs symbolizing the six days of creation filled with water, the constituent element of creation. We have here in these six jugs a type of the natural world - the world as it currently exists. But this type of the world is about to come into contact with the Lord of Creation. Note also the occasion of this miracle: a wedding feast. To my knowledge, this is the only wedding feast described in the New Testament other than the eschatological "wedding feast of the lamb" described in Revelation 19, described by St. Thomas Aquinas as "the banquet where you, with Your Son and holy Spirit, are true and perfect light, total fulfillment, everlasting joy, gladness without end, and perfect happiness to your saints." Given that the eschatological marriage supper of the Lamb and the wedding at Cana are the only two weddings mentioned in the New Testament, is it a stretch to suggest that perhaps the former prefigures the latter? "For I reckon that the sufferings of this time are not worthy to be compared with the glory to come, that shall be revealed in us. For the expectation of the creature waiteth for the revelation of the sons of God. For the creature was made subject to vanity, not willingly, but by reason of him that made it subject, in hope: Because the creature also itself shall be delivered from the servitude of corruption, into the liberty of the glory of the children of God. For we know that every creature groaneth and travaileth in pain, even till now. And not only it, but ourselves also, who have the firstfruits of the Spirit, even we ourselves groan within ourselves, waiting for the adoption of the sons of God, the redemption of our body (Rom. 8:19-26). Our bodies will be Resurrected and glorified, even as was the Body of Christ; but this is not all, for as the head of the creation, our glorification will signal the glorification and transfiguration of the entire cosmos, which as St. Paul said, is "groaning and travailing in pain" waiting for the Resurrection of the body. This transfiguration of the universe is what Isaiah looks forward to as a "new heavens and a new earth" (Isa. 65, Rev. 21). A change in the order of things. A glorification and exaltation of nature in such an utterly transformative way that we cannot possibly imagine it - and this in the context of the inauguration of the "marriage feast of the Lamb." But here in John 2, at the wedding feast of Cana, we have a marriage supper in which the Lamb is present. And what does the Lamb do? He is presented with six jars of water, which He transforms into wine. If the wedding feast symbolizes the wedding banquet of the Lamb, and the six jars and the water represent the created order, then does not this transformation of water into wine by Christ bear some semblance to the transfiguration of the whole created order by the Lamb at the end of time? Just as Christ will at that time glorify and transfigure creation, so does He here transfigure and glorify the water by turning it into wine. 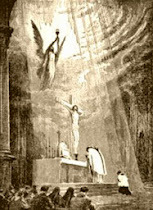 It remains liquid, it remains drink, but it is exalted to a higher state; it is nature perfected and exalted by grace. This miracle is performed not just on any object, but by water, the symbol of creation, in six jars, the number of creation. And it is done at a marriage feast, calling to mind the glorious transformation of man and the universe that our Lord will effect at that glorious marriage feast in the age to come. Therefore, I think we can add an eschatological dimension to the wedding feast of Cana episode. Scripture is rich and has many levels of meaning, and no matter how long we have read it or how much we think we know, there is always something new that can grab our attention. Recent articles on Unam Sanctam! It's been awhile since I have posted some articles from the new site; Christmas and New Year were very busy for me. But I have been able to put together a few things; the article on the anti-Catholicism in the Salem Witch Trials I find to be particularly interesting. 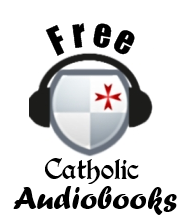 By the way, since the launch of the new site in Fall of 2012, my collection of free, downloadable RCIA lessons has been downloaded over 1,400 times. Thank you! Please help support this site in support of Tradition by posting links to articles on your own sites and spreading the word anyway you can. Should Catholics participate in the Taize movement? For many years it has been common in many Catholic parishes for prayers, songs, and practices from the French Taize movement to be incorporated into parish life. Even Pope Benedict XVI has noted this trend, stating with approval that "these days the songs of Taizé are filling the basilicas of Rome" . With their focus on an ecumenism of understanding, on uniting around what binds Christians and avoiding debates on what divides, Taize has been held up as a model of the modern ecumenical movement. Its founder, Brother Roger Schutz (d. 2005) has been praised by a succession of popes and Christian leaders across many denominations. Therefore, it is not surprising that songs and ideas of the Taize community have been introduced at the parish level to nourish spirituality and promote ecumenism. What is the Taize movement? The Taize movement is a self-described ecumenical monastic community founded after World War II by "Brother" Roger Schutz, a Protestant who felt a radical commitment towards the full reconciliation of all Christians. With a few followers he set up his small "community" in the village of Taize, France, and from there began an ecumenical "religious order" open to Christians of all traditions with an aim of building understanding across confessional lines, working towards full unity of all Christians and an interior commitment to Christ, which Pope Benedict XVI referred to as an "ecumenism of holiness" . But is the Taize movement Catholic? Or rather, since we know it is an "ecumenical community", are prayers and practices derived from this movement fitting to be used in parish settings? Before going any further, we ought to establish the fundamental point that the Taize movement is not Catholic in any meaningful sense of the word. That does not mean it is bad; John XXIII, John Paul II and Benedict XVI have all spoken very highly of Brother Roger Schutz on a personal level, and undoubtedly the Taize experience has contributed to the erection of many meaningful bonds between Catholics and Protestants. But the question is not whether there is anything positive about Taize, but whether or not Taize practices, prayers, songs, etc. are appropriate in parish settings. To this question I must answer with an unqualified negative. If Taize is not a formally in union with the Church and the Pope and has no intention to obtain this status (and one hallmark of Taize is that they pride themselves on not being bound to confessional ties), then there is a strong argument to be made against incorporating Taize into Catholic worship or participating in Taize activities oneself. Let's look at Canon Law. Canon Law, as far as I know, has nothing to say about the incorporation of non-Catholic practices into Catholic parishes; this would be something each local Ordinary would legislate on. Nevertheless, Canon Law does give us a broad vision of the sort of activities and prayers the Church proposes as suitable for parish life. It is difficult to see how participating in a movement that eschews confessional ties and seeks no formal union with the Church of Rome does not violate the prescription of Canon 209 that Catholics maintain communion with the Church "even in their own manner of acting." Even if participating in Taize activities does not break communion, it is hard to see how it promotes it. Can. 210. All the Christian faithful must direct their efforts to lead a holy life and to promote the growth of the Church and its continual sanctification, according to their own condition. 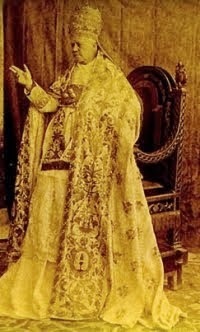 The Christian faithful are not directed to work for the buildup of some concept "Christendom" or "Christianity" in general; they are called to "promote the growth of the Church" in particular; and as Vatican II and the CDF teach, the Church of God is to be understood as the Catholic Church. We buildup God's kingdom by building up the Church. This leads us to the question of whether or not working to promote an non-denominational, ecumenical movement really leads to the promotion of the Catholic Church. Again, It is difficult to see how participating in a movement that eschews confessional ties and seeks no formal union with the Church of Rome somehow promotes the growth of the Catholic Church. Can. 229 §1. 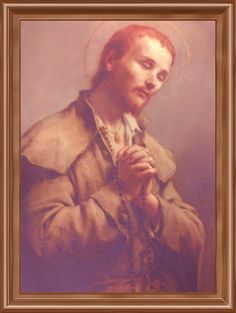 Lay persons are bound by the obligation and possess the right to acquire knowledge of Christian doctrine appropriate to the capacity and condition of each in order for them to be able to live according to this doctrine, announce it themselves, defend it if necessary, and take their part in exercising the apostolate. Does anyone doubt that the "knowledge of Christian doctrine" envisioned here is the teachings of the Catholic faith? This familiarity Christians are supposed to have of Christian doctrine is supposed to be necessary to enable them to live, announce, and defend it. Now ecumenical efforts, by their nature, tend to avoid those points of doctrine that are distinctively Catholic (these are the "divisive" doctrines Protestants talk about). How can Christians obtain the necessary specific knowledge to defend the Catholic Faith envisioned in Canon 229 when the particular points of Faith that are unique to Catholicism are omitted? Again, this Canon would not prohibit Taize activities, but it lends strength to the argument that such activities contribute little to teaching Catholic doctrine and that time could be better spent elsewhere. Can. 528 §1. A pastor is obliged to make provision so that the word of God is proclaimed in its entirety to those living in the parish; for this reason, he is to take care that the lay members of the Christian faithful are instructed in the truths of the faith, especially by giving a homily on Sundays and holy days of obligation and by offering catechetical instruction. He is to foster works through which the spirit of the gospel is promoted, even in what pertains to social justice. He is to have particular care for the Catholic education of children and youth. He is to make every effort, even with the collaboration of the Christian faithful, so that the message of the gospel comes also to those who have ceased the practice of their religion or do not profess the true faith. A pastor should make sure the word of God is proclaimed "in its entirety", that is, without "divisive" parts of it (like the spiritual and jurisdictional authority of the See of Peter, for example) being omitted for the sake of ecumenical dialogue. Note that pastors are to have special care to make sure parishioners get catechetical instruction in the "truths of the faith" and are to have particular care for "Catholic education" in the "true faith." It is a pastor's job to make sure that whatever is going on in a parish is specifically Catholic and promoting the "true faith." This would necessarily proscribe something like Taize, which is not a Catholic movement and as such does not promote "the true faith." Finally, what norms does Canon Law envision with regards to the catechetical opportunities pastors are to make available to their parishioners? Can. 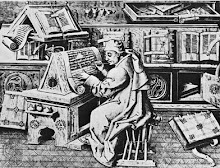 779 Catechetical instruction is to be given by using all helps, teaching aids, and instruments of social communication which seem more effective so that the faithful, in a manner adapted to their character, capabilities and age, and conditions of life, are able to learn Catholic doctrine more fully and put it into practice more suitably. To put it simply, whatever is used for catechesis must promote "Catholic doctrine"; not pan-Christianity, not a multi-denominational vague Christianity, but Catholicism. Taize materials and prayers are by their nature vague and written from a point of view of not promoting any specific denomination, much less the true faith proclaimed by the Catholic Church. In fact, Taize prayers and practices go out of their way to avoid promoting Catholicism. In that sense they are just your typical Protestant group, seeking for unity and oneness apart from the physical unity that comes from adherence to the Catholic Faith. These norms of course do not prohibit Taize activities from being carried out at the parish level; ultimately this would be the call of the pastor or bishop. But the canons do give us a broad vision of how catechetical and devotional practices are to look at the parish level. Lay persons are supposed to occupy themselves with learning the Catholic faith and being able to defend it in their state in life; pastors are to make opportunities for such education available and by the solicitude guarantee the Catholicity of whatever materials or programs are used. In short, all the resources of a parish are to be directed towards the building up of the Catholic faith. The code does not envision a situation where non-Catholic materials or programs are brought in to do this, nor a situation where non-Catholic materials or prayers from something like Taize would be preferred over traditional Catholic prayers sanctioned by long use and Tradition. This should be enough to settle the question, if it were not for the problematic fact that Taize has been endorsed by several popes. Blessed John XXIII called Taize a "little springtime" and John Paul II referred to it as a "spring of water" . The latter pontiff in particular seemed to regard Taize as a kind of experimental model for the new ecumenism and allowed certain liberties to be taken regarding communio in sacris with Taize that would not have ever been permitted in other circumstances; more on this below. But for now, let's look at the attitude some of the popes have taken on Taize. While it is undeniable that John Paul II endorsed Taize and spoke favorably of it, I cannot be anything other than mystified by his praise of Taize's role in helping Protestants be "faithful to their denominational ties." In other words, yes, Taize is great, if you want to help Protestants be better Protestants. "I do not forget that in its unique, original and in a certain sense provisional vocation, your community can awaken astonishment and encounter incomprehension and suspicion. But because of your passion for the reconciliation of all Christians in a full communion, because of your love for the Church, you will be able to continue, I am sure, to be open to the will of the Lord. With all due respect and deference to the late pontiff, there is a certain contradiction in his words. One cannot help but wonder how Taize is helping the disunited Christians of the world towards "full communion" in "visible unity" if, as John Paul states, Taize helps non-Catholics "to be faithful to their denominational ties." Full visible communion is only possible if an individual or ecclesial body is in formal union with the successor of Peter; i.e., if they enter the Catholic Church. How can this visible unity be attained if Protestants are being encouraged to remain faithful to their own denominations? It is an obvious contradiction, not unlike Mother Teresa's comments that the way she spreads the love of Christ is by encouraging Muslims to be better Muslims and Hindus to be better Hindus. It would be interesting to know how Benedict defines an ecumenism that is "interiorized and spiritualized"; presumably he means an ecumenism that does not simply seek institutional communion but a true and deep conversion and true reconciliation of heart. However, it is interesting that neither John Paul II nor Benedict XVI, despite noting Taize's commitment towards "reconciliation" and "full communion" mention actual return to the Catholic Church as a viable option. This is ironic, since only by return to the Catholic Church can there be any "full communion." This situation with full communion is not that complicated. It could be solved tomorrow. It could be solved if all the Protestants of the world abjured Protestantism and joined the Catholic Church. The only problem is they don't want to. It's not a matter of seeking "paths of reconciliation", but of using charity, reason and prayer to guide our separated brethren to walk down the one path into the one sheepfold. Do the popes support Taize? Yes they do, but their support for it is in the context of support for a broader "new ecumenism" that replaces what has been called the traditional "outdated ecclesiology of return" with an ecumenism based on "shared faith experiences", as Cardinal Avery Dulles once proposed. So the pope's support of Taize is a support of an experiment in the new ecumenism. Note in the comments above that Benedict XVI referred to the "provisional nature" of Taize. This is an interesting comment; it signifies that the status of the Taize community is not what is ultimately desired; that it will eventually give way to something more perfect. Yet, the term "provisional" seems to signify that Taize, though not perfect, will do for now. This a very interesting thing, for the pope seems to be suggesting that Taize represents a kind of transitional step on the road to "full communion" and "visible unity" (what that unity can look like is uncertain, since John Paul II also praised Taize for strengthening the existing denominational ties of its adherents). Taize is an experiment in the new ecumenism, and experiment in which traditional confessional boundaries are crossed and things that never would have been permitted traditionally are allowed as this experiment continues. There is a certain tension and ambiguity with regards to how Taize is treated by the Church. The best example of this is Brother Roger Schutz himself. 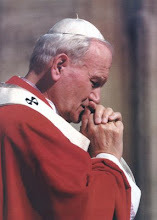 Brother Roger, a Protestant pastor from a Calvinist background who never repudiated Protestantism and never considered himself a Roman Catholic, yet he received Eucharistic communion from John Paul II; he took communion every morning at the Catholic Mass in Taizé; and he was given communion by Cardinal Joseph Ratzinger himself, at the funeral Mass for John Paul II. Brother Roger even received a Catholic funeral presided over by none other than Cardinal Kaspar. Brother Roger's participation in Catholic liturgies were so frequent that it was rumored that he had secretly converted to Catholicism, something his community vehemently denies. Those in the hierarchy who knew Brother Roger also deny he had any conversion to Catholicism . What are we to make of Brother Roger's participation in communio in sacris? "As the years passed, the faith of the prior of Taizé was progressively enriched by the patrimony of faith of the Catholic Church. 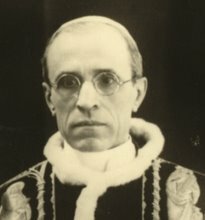 According to his own testimony, it was with reference to the mystery of the Catholic faith that he understood some of the elements of the faith, such as the role of the Virgin Mary in salvation history, the real presence of Christ in the Eucharistic gifts and the apostolic ministry in the Church, including the ministry of unity exercised by the Bishop of Rome. In response to this, the Catholic Church had accepted that he take communion at the Eucharist, as he did every morning in the large church at Taizé." So because Brother Roger accepted certain aspects of Catholic theology, he was granted an "understanding" that allowed him to receive communion despite not being a formal member of the Catholic Church? This is amazing in its novelty, but it is perhaps an example of the ecumenism of mutual understanding envisioned by Cardinal Dulles? Can. 844 §1. Catholic ministers administer the sacraments licitly to Catholic members of the Christian faithful alone. It is very hard to justify any claim that Brother Roger was in a state of grave necessity when he was receiving communion. More likely than not, Brother Roger's exception to Canon Law and the teaching of the Catechism was allowed an an exercise of the Church's shadowy ex voce teaching; that is, while the Church has not officially changed its law or teaching on intercommunion with Protestants, as an exercise in support of the new ecumenism, the Church has nevertheless proposed an alternate understanding of ecumenism and communion in low level pronouncements, relaxations of discipline and the allowance of obscure situations like that of Brother Roger for the sake of promoting a concept contrary to Tradition without officially changing the Church's position. To go back to our original question, is there anything "fishy" about Taize prayer? Should Catholics be involved in Taize programs at the parish level? I do not believe it is advisable. Despite the pronouncements of the popes, at the end of the day, Taize is not a Catholic movement. Inspired by Catholicism? Accepting of certain aspects of Catholicism? On good terms with Catholicism? Sure. It is all those things. But it lacks the one thing necessary - full communion with the Catholic Church, which is the one thing that would make it Catholic, and ironically the one thing it lacks even while it professes to seek it. There is no reason why Catholics need to be involved in this when, as Canon Law states, we should occupying ourselves with programs and prayers that teach the Catholic Faith specifically. Today the Church celebrates the Feast of Epiphany, which in popular piety is connected with the visit of the Three Wise Men to the Christ child. This is very appropriate as the visit of the Magi to the infant Jesus signifies the visible manifestation of the Messiah to the Gentiles, which is itself the proper object of this liturgical celebration. Many things are prophesied of the Messiah in the Old Testament: the place of His birth, the miraculous signs He would perform, the fact and manner of His death, as well as His Resurrection and many notable truths that Christ would proclaim are foreshadowed in the prophets. Yet one of the most frequently mentioned characteristics of the Messiah in the Old Testament is the promise that He would inaugurate an era in which the Gentiles are enlightened with the truth of God's law and brought into the family of God. This full-inclusion of the Gentiles, the revelation of God to the nations, is what formally begins when the Wise Men acknowledge Christ as King and is what we celebrate at Epiphany. The inclusion of the Gentiles in the Messianic age rectifies one of the major paradoxes of ancient Judaism: that, despite the Old Testament's clear teaching that God is the God of the entire earth and that there is no other beside Him, He is somehow nevertheless only the national God of Israel specifically. If "heaven is His throne and earth is His footstool" (Isa. 66:1) and "the earth is the Lord's and the fullness thereof" (Ps. 24:1), and "I am God, there is no other beside me" (Isa. 44:6), then why does this Lord restrict His saving acts and revelations in history to one, unique people? God's reign and power are universal, but His laws and providential work in history are only comprehensible in light of His relationship to a very specific and tiny group of people - the Israelites. This is a fundamental paradox of the Old Testament and more than anything else highlights the incomplete and partial nature of Old Testament revelation. Thus from the beginning, there were prophesies and foreshadowings of a day when the Gentiles, too, would be included in God's plan of salvation. Isaiah prophesied that "in the latter days, the mountain of the Lord's house shall be exalted high above all other mountains and shall be raised above the hills; and all nations shall flow into it, and many peoples shall come and say, "Let us go up to the mountain of the Lord, to the house of the God of Jacob; that He may teach us His ways and that we may walk in His paths, for out of Zion shall go forth the law, and the word of the Lord from Jerusalem" (Isa. 2:2-3). This prophecy is echoed almost verbatim in Micah 4:1-3; Daniel, also, in interpreting the dream of Nebuchadnezzar, speaks of a "mountain" that will cover "the whole earth" (Dan. 2:35). Isaiah also famously prophesies the inclusion of the Gentiles in a passage quoted by Matthew: "Land of Zebulun, land of Naphtali, beyond the Jordan, Galilee of the Gentiles...the people who walked in darkness have seen a great light" (Isa. 9:1-2). The lesser prophets also testify to this truth. Hosea speaks of a redemption that will not only restore fallen Israel but bring others into God's family: "I will have pity on Not Pitied, and I will say to Not My People, "You are my people', and he shall say, "Thou art my God" (Hos. 2:23). Zechariah says: "Sing and rejoice, O daughter of Zion; for lo, I come and I will dwell in the midst of you, says the Lord. And many nations shall join themselves to the Lord in that day and shall be My people" (Zech. 2:10-11). Habbakuk says, "The earth will be filled with the knowledge of the glory of the Lord as the waters cover the seas." This knowledge of God that will fill the whole earth signifies the diffusion of God's law, not just throughout Israel, but to the whole human race. Malachi makes a similar statement regarding the worship of God when he states that sacrifices to the true God will not be restricted to Israel but will spread throughout the whole earth: "For from the rising of the sun even to the going down, my name is great among the Gentiles, and in every place there is sacrifice, and there is offered to my name a clean oblation: for my name is great among the Gentiles, saith the Lord of hosts" (Mal. 1:11) In Habbaukuk it is "knowledge" and in Malachi "sacrifice" to God that spreads throughout the earth, signifying the eventual universality of true doctrine and worship. The prophesied inclusion of the Gentiles is bound up intimately with the coming of the Messiah Himself. We have seen how St. Matthew cites Isaiah's prophecy from Isa. 9 in His Gospel, the same chapter which goes on with the famous passage "To us a child is born; unto us a son is given." The message is clear: the coming of the Son, the Mighty God and Prince of Peace, means the light of the Lord dawning upon those who walked in great darkness. This truth is presented most strikingly in Isaiah 49, where the God says that the inclusion of the Gentiles is said to be a gift from the Father to the Son, and in turn a gift of the peoples to the Son. Speaking of the work of the Messiah in the person of Israel, God says, "You are My servant, Israel, in whom I will be glorified," but then goes on to say, "It is too light a thing that you should be My servant to raise up the tribes of Jacob and restore the preserved of Israel; I will give you as a light to the nations, that My salvation may reach to the ends of the earth" (Isa. 49:3,6). The Gentiles will be given to the Messiah because it would be "too light a thing" is God sent His Son for one race of people only. We can see, then, that the full inclusion of the Gentiles into God's family is one of the best attested prophecies of the Old Testament. It is also signified typologically in various episodes; for example, all four women in the genealogy of Christ are Gentiles, demonstrating a sort of anticipation of their full inclusion in the Messianic age. Our Lord Himself hints that the healing of Naaman the Syrian (2 Kings 5) and the feeding of the widow of Zarepath (1 Kings 17) are also signs of the Messiah's ministry to the Gentiles (Luke 4:25-27). The passages the Church has selected for the day's readings confirm this teaching. Isaiah 60:1-6 speaks about nations covered in darkness being illuminated by the light of the Lord, and says prophetically "the wealth of nations shall be brought to you. Caravans of camels shall fill you, dromedaries from Midian and Ephah; all from Sheba shall come bearing gold and frankincense, and proclaiming the praises of the LORD." The Psalm for the day, Psalm 72, reminds us that God's reign is universal, and that "every nation on earth" will adore the Lord, whose dominion is "from sea to sea, and from the River to the ends of the earth" (Ps. 72:8). The Epistle reading from Ephesians 3 reminds us that this inclusion of the Gentiles is not just something superfluous to the mission of Christ, but is a fundamental part of the Gospel that was inaugurated with the establishment of the Church: "It has now been revealed to his holy apostles and prophets by the Spirit: that the Gentiles are coheirs, members of the same body, and co-partners in the promise in Christ Jesus through the gospel" (Eph. 3:5-6). This multitude of prophecies, this "mystery of Christ" that Paul speaks of in Eph. 3:4, this profound truth that is signified typologically throughout the Old and New Testaments (the Prodigal Son is also about the Jews and Gentiles, with the younger, wandering son signifying the Gentiles), is all epitomized by the visit of the three Magi, who signify the Gentiles of the world. In asking why there are specifically three wise men in Tradition, we could point out that there are three gifts mentioned - gold, frankincense and myrrh - but the number three is also indicative of the nations of the world, which according to Roman geography, were distributed over three continents (Europe, Asia, Africa). This is why there is usually one white wise man, one black, and one Semitic looking. They signify all the Gentile nations spread over all the continents of the earth coming to recognize and adore the King of Kings, the Messiah of Israel but also the Light of the Nations - and how fitting that the Magi, these symbols of the nations, are led to the Light of the Nations by the light of a star? "Today the Church is joined to her celestial spouse, because in Jordan Christ doth wash her sins; the Magi hasten with gifts to the royal marriage-feast, and the guests exult in the water turned to wine." "We keep our Holy Day adored with three miracles: today a star led the Magi to the crib, today wine was made from water at the marriage, today in Jordan Christ willed to be baptized by John to save us."